Not all soaps have to kill 99.9% of bacteria if microbes can't take it what makes you think your hands can? Method make safe and natural soaps. 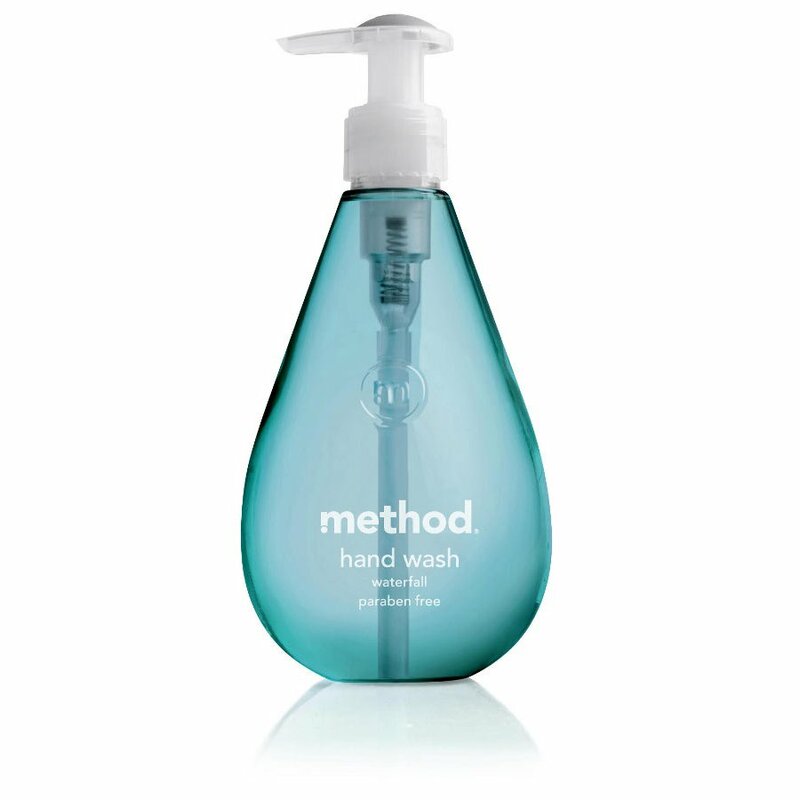 Method hand washes clean moisturise and make your hands smell like heaven! Great value natural soap in pump dispenser stylish bottle. Antibacterial cleaners are popular but they often contain harsh chemicals that are dangerous around children Method soaps are all natural. Water, sodium lauryl sulphate, decyl glucoside, sodium chlride, cocamidopropyl betaine, cocamidopropyl hydroxysultaine, parfum, glycerin, citric acid, limonene, magnesium chloride, magnesium nitrate, linalool, butylphenyl, methylpropional, citronellol, sodium citrate, tocopheryl acetate, aloe barbadensis leaf juice, methylchloroisothiazolinone, CI 42090, methylisothiazolinone, CI 47005. There are currently no questions to display about Method Gel Hand Wash Waterfall - 354ml. The people at Method know how important it is to you to have a clean home and clean hands, providing a safe, appealing, healthy environment for the whole family. These eco-friendly cleaning products from Method contain plant-based liquids, which are biodegradable, non-toxic, and never tested on animals. Method has been certified by PETA , and are guaranteed to provide attractive and effective cruelty-free and vegan household cleaning products in 100% recycled plastic bottles. This innovative company prides itself on looking at the world through bright green coloured glasses and believes in making products safe for all surfaces, including the earth's. Method products are widely sold across the UK.